With their plan to get to the Guardian in-place, Osiris must first acquire a Constructor in order for Halsey to interface with the Guardian and feed it coordinates to (the place it was going to end up jumping to anyway) Genesis. We’ve got another really strongly-crafted mission to analyse ahead of us, I’m a big fan of this one, though it’s not without its shortcomings as well – particularly where the Kraken fight is concerned. But we’ll get to that soon enough, first we’ve got to talk about the return of an even bigger problem in terms of storytelling… That’s right, folks! We start this mission off just as we did in Unconfirmed – with no actual opening cinematic, just a Pelican landing outside a structure with Palmer telling you to go and get the Constructor. Let me start by putting this into perspective: us story fans have to wait three years for each major release. Three years is a pretty long time, and when the games come out they are supposed to mark a pivot point in the progression of the overall ‘saga’ of events going forward. So when we get scenes like this in the campaign, scenes which aren’t scenes at all, but the exact same kind of introduction we get in Warzone matches, I really have to wonder what the writers were thinking. This is the campaign. Time has elapsed with five of our major characters in the same place and we’re missing out on seeing them comment and shed light on their perspectives on the things that are going on. As far as I’m concerned, if you’re opening a campaign mission like this then you’re doing something wrong because you’ve got so much going on in this story and you’re not taking the opportunity to have these essential character scenes which would do a lot to improve the disposition many people have towards Halo 5. Here we have an opportunity for Halsey and Palmer to have some dialogue over the radio where we get a better understanding of where these two characters are at (which I have already extensively criticised the handling of), or for Vale to shed light on the significance of the location we’re going to be fighting through (she brings this up later in ambient dialogue you have to wait around to hear), or for some dialogue between Osiris about the Kraken because these siege towers/sky fortresses are supposedly some kind of battlefield legend to humans – having been sighted early in the Human-Covenant War, but leaving no survivors in its wake according to its Universe article on Waypoint. Some set-up beyond “here’s your mission, bye”, even if it’s a short scene, is an absolute necessity for me. 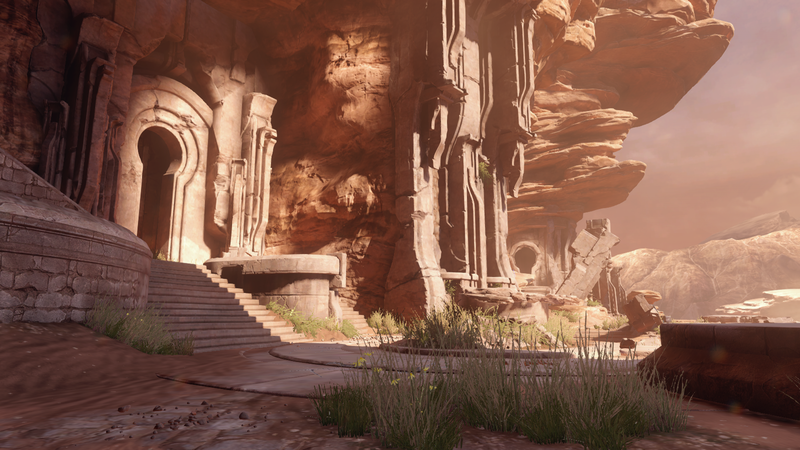 When you’re releasing a mainline game once every three years, particularly at the stage Halo has gotten to with its story, you simply cannot afford to have empty scenes like this where no effort has been put into… well, anything here. You’ve got four main characters here, three of them are brand new to the games, so if you’re not taking every possible opportunity to have them talk to each other and build a rapport, a relationship with each other and with the player, then you’re doing them a disservice. The Truth and Reconciliation opens like this, just a Pelican landing with mission-related dialogue. But it carries with it a statement of character as well, as an ODST makes a snarky comment about how “the Corps issued me a rifle, not wings”, and Johnson tells us about the way in which Covenant ships and their gravity lifts function. Everyone remembers that line, it’s the stuff references are made of. The start of Assault on the Control Room characterises the Unggoy as it sniffs the air and squeals in fear as it sees your Pelican rise up to the platform – we didn’t know very much about the Unggoy back then outside of what one might have read in The Fall of Reach, this was a formative kind of scene for how they would be characterised as cute and cowardly. 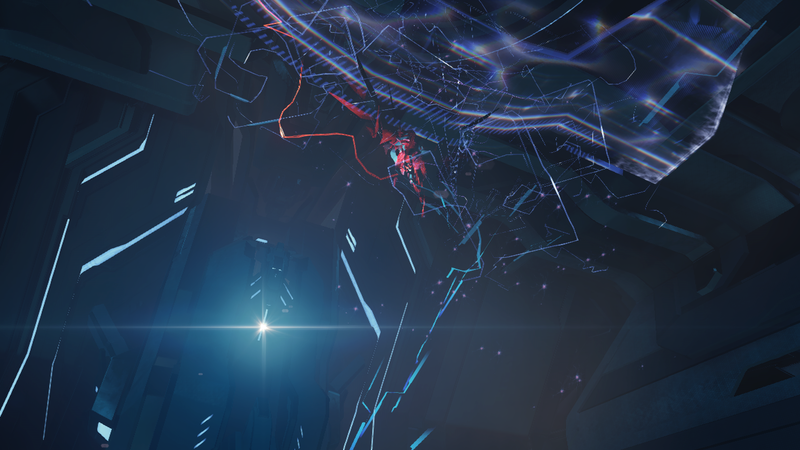 Not to mention it gives the player a sense of awesome scale as well, showing us the vast inner-workings of Installation 04’s subterranean skeleton. 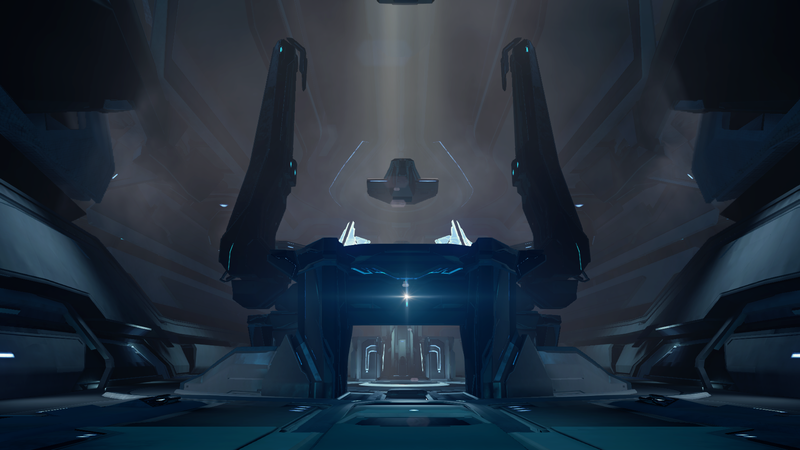 The opening to 343 Guilty Spark switches things up completely and is all about establishing the atmosphere as the story heads for a major shift in tone with the introduction of the Flood. We open to a sweeping view of a swamp where the Covenant are running away from something, all while this very ominous choir mixed with the weird ambient noises of the environment instil a very particular kind of feeling in the player. Each of these openings added something beyond telling you your mission objective, they gave character and humour, established an atmosphere, really leant great flavour to the setting in establishing Halo in its infancy. Nothing of the sort happens in this scene in Halo 5, it doesn’t even show off the environment – it doesn’t establish any sort of tone, it does absolutely nothing for the characters. It is a thoughtless scene which just ultimately accomplishes nothing. We’re supposed to be building towards the end of the Covenant, yet 343 really hasn’t made the most of making it feel like that’s what is happening as we get closer and closer to the battle of Sunaion. However, with all that said, this level gets it right in almost every other category for me. And it shows, which I don’t mean at all in a bad way at all. 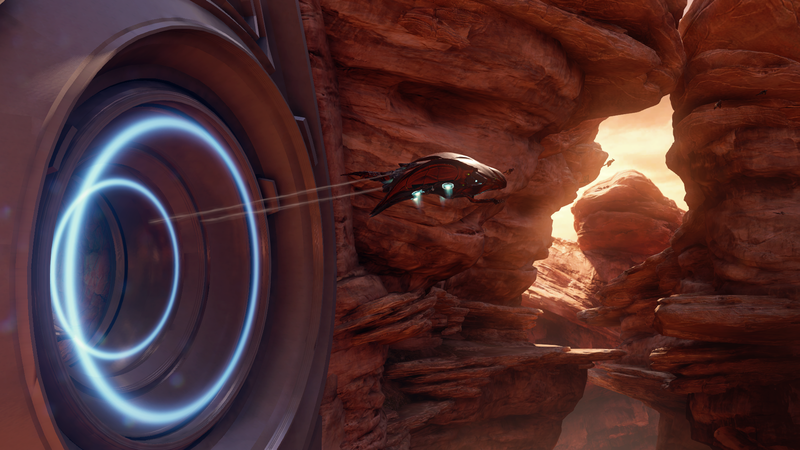 But when I was playing this mission, I could definitely tell that this was the kind of thing you’d demo for all the various gameplay innovations in Halo 5 because each area feels like a playground lending itself to all the different movement abilities while also bringing in the spectacle of ground and air vehicle-based action. 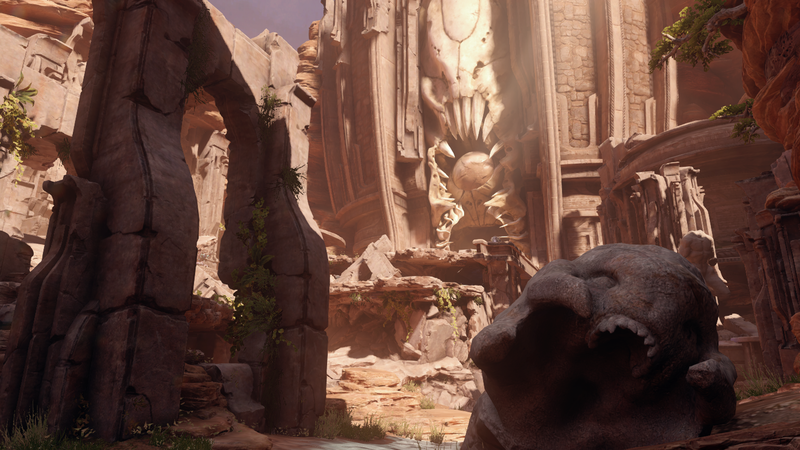 It’s another great mission which boasts a multitude of paths, destructible passages, and tiers in elevation to showcase Halo’s open gameplay at its best. 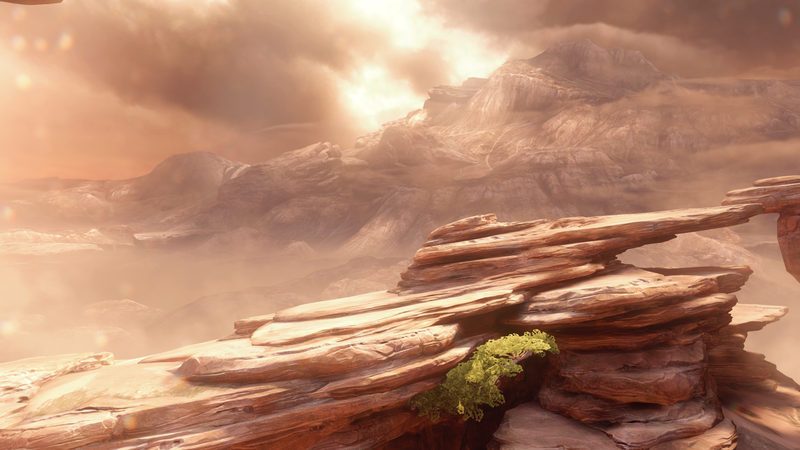 My favourite part of the level is around the middle where you get to the temple grounds – you’re in this canyon where a Wraith guards the shield wall blocking your path forward. You have so many ways of doing this, it’s something that oozes replayability because you can just charge your way forward on lower difficulties and take out everything in your path which is always cathartic fun. 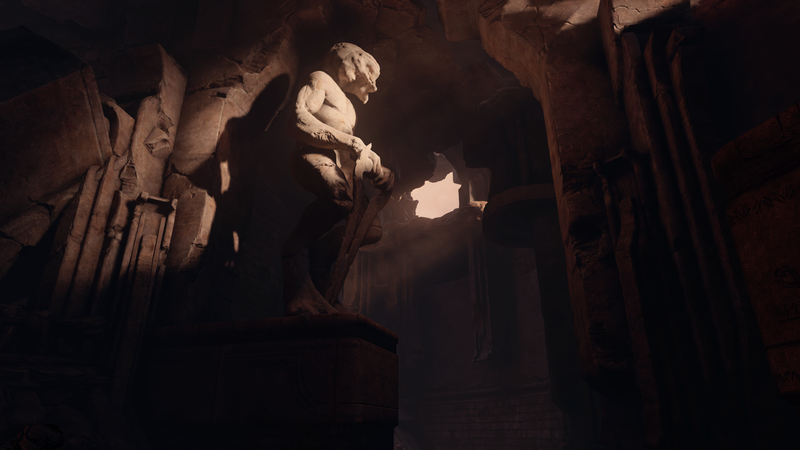 But on higher difficulties, you’re more likely to find yourself slipping into the temple structures where you have a straight shot to the power generator for the shield, with the trade-off being that you’ve put yourself in a sniper alley. Or you might try the path on the right which is less sparsely populated by enemies, but their fortifications are stronger with Shade turrets you’ll have to content with – deal with them and you’re rewarded by climbing upwards to get a Fuel Rod which can make short work of either the shield or the groups of enemies supporting the Wraith. Or you can take the route down the centre, through the sort of underground section of the temple. 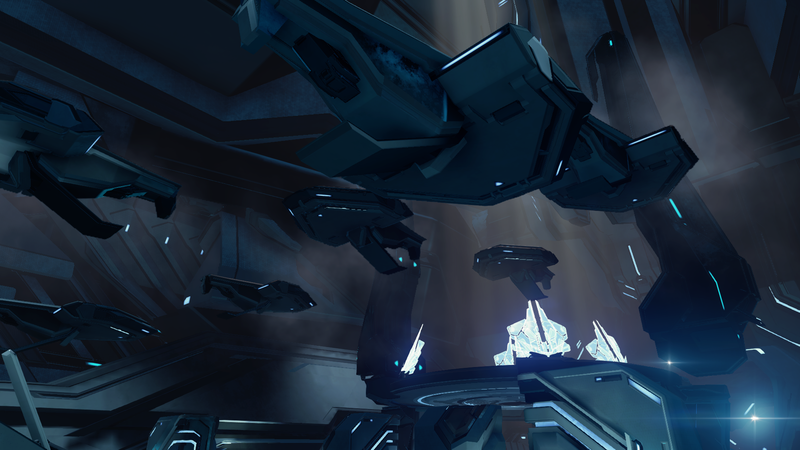 You won’t have to contend with the snipers or the heavy fortifications, so you have a shot at getting round the other side of the shield without any major confrontations – but this is the most populated area of Unggoy and Kig-Yar and Sangheili with Storm Rifles which can make short work of your efforts on Heroic and Legendary. It’s so rewarding to have this kind of variety, these really well-structured encounters which were built for co-op but translate really well into solo play too. Of course, you may find that you’re killed simply because you’ve stopped to take in just how gorgeous the environmental design of this mission is. In terms of dialogue, there’s honestly not very much to analyse here – the majority of the lines are action-oriented rather than character-oriented, with a few notable exceptions. There is definitely room for criticism there, but I honestly found myself getting swept up in the atmosphere of this mission as you hear Thel, Palmer, Osiris, and the Sangheili Banshee Wings communicating with each other like something out of an X-Wing run in Star Wars, all while you’re fighting your way uphill as hordes of suicide Unggoy charge at you, backed by lines of Ghosts, and the Kraken’s turrets open fire on your position. It definitely helped that one of my favourite tracks in the game, Covenant Prayers, was playing over the spectacle as well. It feels like you’re in the middle of a proper battle with the large number of AI that can be active on the screen at one time, so I think 343 did an incredible job in designing this. It felt a lot like I was playing Assault on the Control Room, but on Sanghelios. For me though, I think the weakest part of the mission is the actual Kraken fight itself. Now, I don’t think it was bad necessarily, but I tend to judge most large-scale vehicular battles on how they stack up against the Scarab fights in Halo 3 and ODST. Because look how far Halo’s engine has come at this point, it’s ludicrous to think that they couldn’t just find new ways to upgrade the experience of fighting Scarabs, or some other similar construct because Halo 3 is almost 9 years old now. When I first got into the Phaeton to take on the Kraken, my immediate thought was to shoot at the glowing blue circular lights in order to damage it – just like you would with the Scarab. Only it’s much simpler than that – all you’ve got to do is land the Phaeton on the Kraken, which is incredibly easy to do… I thought that the Kraken would have had some kind of energy shield over the open, exposed area and you’d have to shoot the blue spheres to disable them in order to land on it, but that evidently wasn’t the case. So, sadly, you don’t really get to enjoy the airborne combat much because you aren’t given an awful lot to do beyond fight two or three Banshees and then land on the Kraken, maybe destroying one or two turrets firing at you. You can’t even land on the legs and run up to one of its entry ports because if you’re on the leg for more than five seconds you get teleported back to where the Phaetons spawn. This is where the fun becomes a lot more linear, whereas the previous section in the temple grounds was left entirely up to the player. There’s only one way to do the Kraken fight, which isn’t really all that fun. “The Kraken had many challenges. Think of it being about the size of a very small level moving within another level. It needed to be big enough to allow combat on and in it, and it needed even bigger areas where it could move through. I can admire what they were going for with this, and this is quite technologically impressive, I have no doubt of that, but quite honestly I think they would have had a much better time turning this into a bowl-like arena and having one or two Scarabs there for the player to fight. I think that would have been a lot more fun rather than pouring all this effort into making the very specific experience that is the Kraken battle. Additionally, when you actually destroy the Kraken’s core, it takes an age to fall down and explode. The first time I played this and evacuated from it, I thought that I had done something wrong because there was no visual or auditory indicator that it was getting closer to destruction – whereas the Scarabs had those very notable bleeps which blared higher in pitch and frequency as it was about to blow up. And then it just sort of… falls. The lights flicker for a few seconds, one of its legs detaches, and it falls, you don’t really get to see the explosion – which itself doesn’t look very satisfying. It’s a shame really because the rest of the level is top-notch stuff, but the big setpiece moment doesn’t live up to the standard set by a game that was made a decade ago. Looking back a bit, we do have some interesting tidbits of dialogue to go over. In the section where you first get Ghosts, if you decide to walk the route instead then you’ll be around for two little exchanges between Vale, Buck, and Tanaka. Gives us a nice bit of insight into the actual location we’re in and a sense of its history, this place being the burial grounds is significant later on when we find more murals. As I said earlier, this scene-setting should have been implemented in the opening cutscene, not made an off-handed bit of ambient dialogue you have to go out of your way to hear. There’s also a rather humorous bit of backstory to Tanaka that comes up. Bear in mind here what I’ve said about Tanaka’s arc in this game, how she’s gradually starting to open up to her team. I love these little bits of trivia she brings up about herself and her training, it’s a nice touch to the character. Next up, we’ve got the murals. 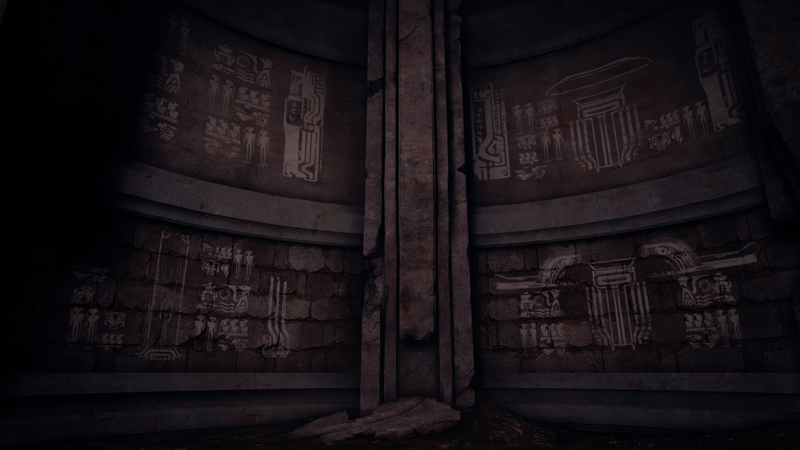 These are found in the area where you have to search for the little Sangheili statue that opens the door to the Kraken fight. The significance here is that, just as Osiris are the first humans to see these murals, we, the players, are in the same shoes in that. There’s two things in particular here which I find interesting. Firstly, the obvious thing is that Locke’s mindset as a character is very much like that of a Sangheili’s. And looking at his own history, how he was orphaned at a young age after the battle of Jericho VII, was raised in an orphanage, grew up very much by himself, became a freelance assassin rather than going into the UNSC like the other orphans he lived with… you can understand where his perspective comes from. He had to fight for everything he got, he had to earn it all ever since he was a child. Again, I just wish that they had done a better job of implementing Locke’s history into the game because when you’ve got the broad picture of Locke’s life you can really see the complexity of his character in a way that the fan who just plays the games doesn’t – because it’s neither shown nor told to them. I really think these dialogues should be longer, the person who is waiting around to hear these dialogues in areas for up to ten minutes at a time isn’t going to mind heavily-laden dialogue about character history – that’s why we’re waiting around. 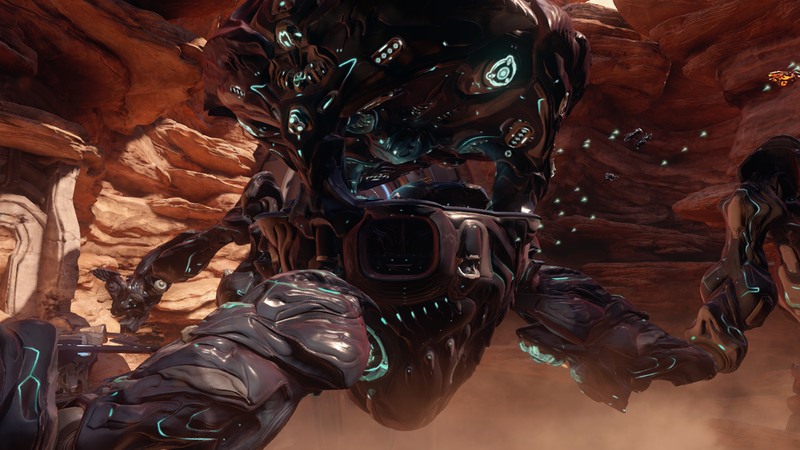 But, anyway, the second thing… The second thing is that this pre-Covenant Sangheili philosophy seems to be very much reflective of ancient human philosophy regarding their own concept of Living Time, known as daowa-maad, which we learn about in the Forerunner Saga. We get other such perspectives on it from multiple other characters. It is referred to by humans as the “great way”, a teaching which goes back a very long way in human history. 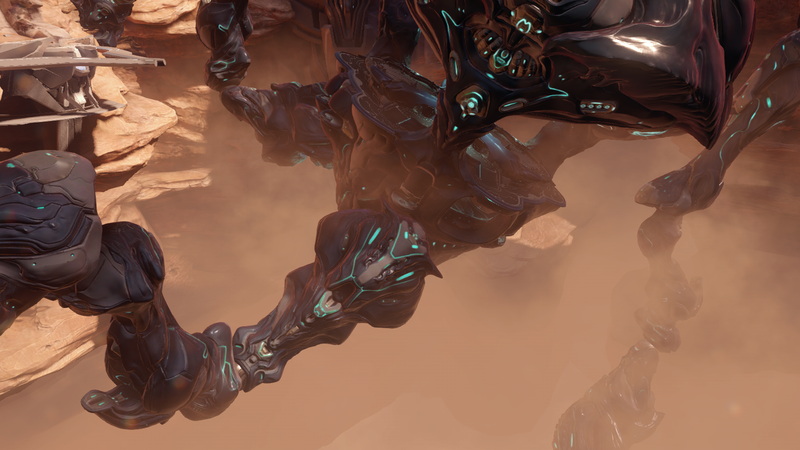 The Ur-Didact likens it to the philosophy of the Mantle, which in itself has interesting implications considering the hints about humans and Forerunners once being the same species that were split apart at some point to evolve separately – which I’ve talked more extensively about here. I like this because it’s rather telling of just how much common ground these species actually have stretching back through history, which they might be able to see if they stopped fighting amongst each other for five minutes. 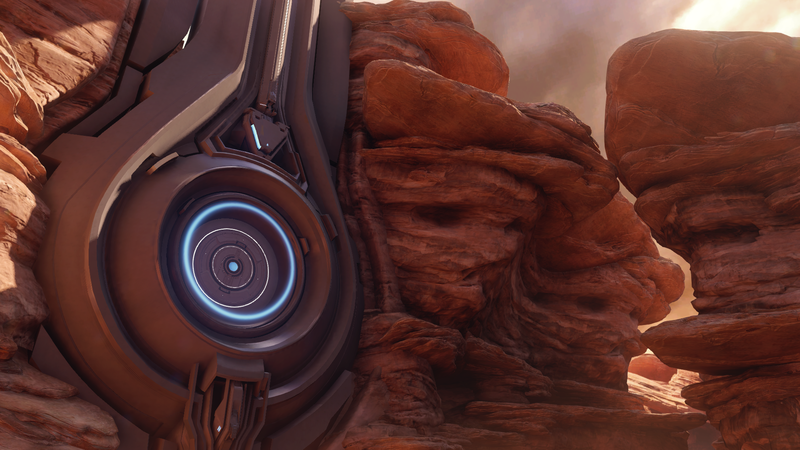 Vale pointed this out in the previous mission as well, as Buck is surprised by how similar humans and Sangheili are – placing great importance in family and honour. Speaking of family and honour, this brings us to a neat segway into the mission intel for this level, starting off with a continuation of the ongoing saga with the ‘Arach brothers. In this log, Kitun, the Sangheili General we met in the very first mission charging the Promethean lines (who turns friendly if you assist him), urges his brother Jacul to join the Covenant. I have been a member of the Covenant since before birth. It reinforces what Thel said in the previous mission about the symbolism in having humans interface with the Guardian so it will rise from Sunaion’s waters, and the Covenant will see their holy idol forsake them. This isn’t just about defeating the Covenant militarily, it’s about destroying them as an idea so everyone can move on – because the Sangheili are at the point now where they’re just so tired of fighting. These Unggoy see the Covenant as being their lot in life, and in order to attain some kind of social mobility to improve their place within the societal structure of the Covenant they’re driven to perpetuate this cycle of violence (which I talked about in-relation to ow I’d write Jul ‘Mdama in the last post, but I’ll resist going over that rant again). I like how Grimyip says that it was one of the Spartans that killed poor Jibjib because that lends a sense of consequence for the player – this Unggoy is making this log because of something you did. Another Unggoy log from Drab Limist has him abandon the Covenant for fear of his own life. The most interesting implication I get from this is how the Swords of Sanghelios are recruiting, as the bulk of their forces are comprised of Keeps and kaidons who are loyal to Thel, but there seems to be an element of the Swords beinga ‘second chance’ for those who are weary of fighting alongside the Covenant. If that’s the case, then it’s very in-character for Thel to have them be like that – to use the example again, he offered Tartarus of all people the chance to join him at the end of Halo 2 because he recognised how they had all been subject to the lies of the Prophets. We get a continuation of Kit Pitlimp’s adventure. The thing to note here is that the only side of Thel’s camp which isn’t open is where the wounded are tended to by the medics – as, if the Covenant were to see that out in the open, you can bet they’d open fire with snipers on the medics themselves for their dishonourable conduct. Obviously, that is not in the best interests of Thel, the Swords, the wounded, and the medics themselves… What’s that, I missed a piece of intel? Well, I suppose now is a good time to get into this since we don’t have anything else to really talk about with this mission and I’m not going to have much time to talk about it in the last three missions of the game… So let’s get it all out now. There is a Forerunner of the Builder rate who survived the firing of the Halos, as in… a Forerunner who was not among the numbers of Lifeworkers and Warrior-Servants gathered on the Lesser Ark when the IsoDidact fired the rings. Here is the complete transcript of his logs. “Mendicant Bias is trying to prevent us from firing the Array. He speeds back to the Ark, but he won’t succeed. Offensive Bias will stop him, and I will burn this stinking menace in your name. We know that the Great Journey is actually a thing, we know that the Forerunners placed themselves in a sort of exile after Chant-to-Green completed the last part of the Conservation Measure by reseeded the galaxy with the species they had indexed. “Truly this will be a different place,” Riser said. “The portal will stay,” said Bornstellar. “Ah, then you have lied,” Riser said, but with no anger or surprise. “I doubt even I will long enough to see that day,” said Riser. Now, I think it’s great that we’re finally seeing this stuff in the game, but it’s still being done in such a way that isn’t entirely accessible to the wider audience. The return of the Forerunners is going to be a game-changer, having been set up in 2011 when Primordium ended with Chakas stealing the UNSC Rubicon and jetting off from the Lesser Ark in pursuit of “the Elusive Lifeshaper”, who he believes is the Librarian but we actually know is Chant-to-Green. 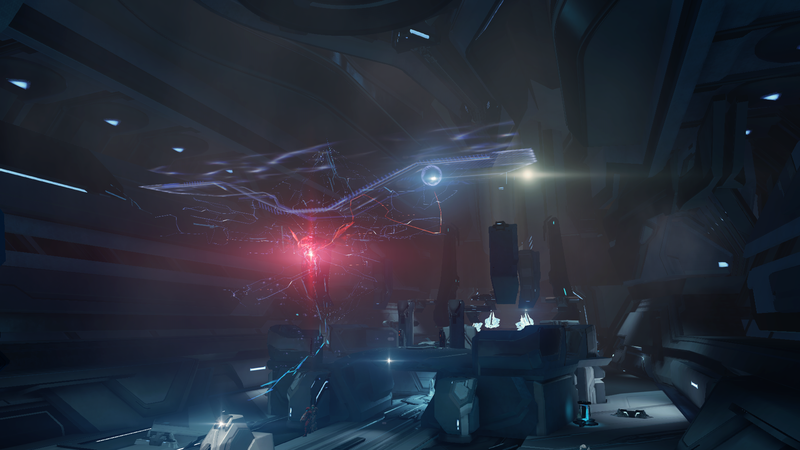 I look at this and think to myself about this pursuit of the Forerunners and having them come back into the setting – especially in-light of the Ur-Didact saying in Halo 4, in no uncertain terms, “the Forerunners have returned”, and then having his Epilogue speech at the very end of the game be to a group of Forerunners in the modern era. 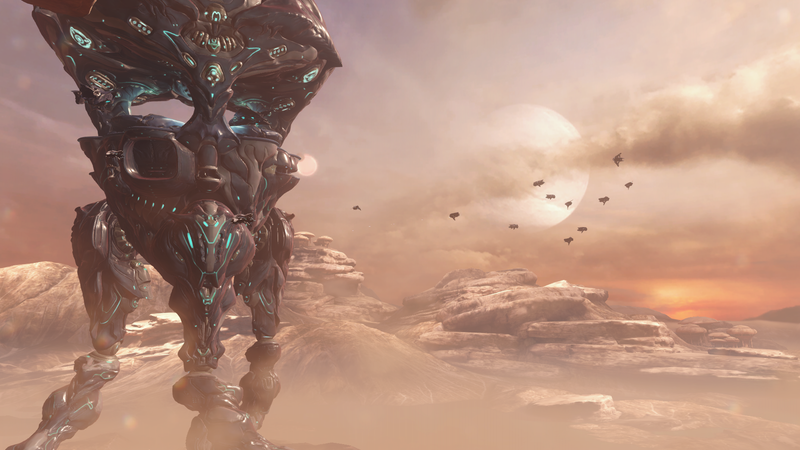 Query: Is there any information on the potential identity of those whom the UR-Didact was addressing “after” the events of the Requiem event? Query Answer: Selected quote is part of [evidential] proceedings recorded in local [cache] prior to loss of Domain contact. Query: Hopefully, if Catalog made a mistake, he’ll come here and address it. I see how the speech can work in the future and in the past, though both are stretches (to varying degrees). It would be nice to settle this matter once and for all. Query Answer: Searching … Statement was not in error. However, Catalog does note difficulty in interpreting Shadow-of-Sundered-Star’s commentary. Currently under review due to multiple sources of authority. In the case of the latter post, whoever was writing the Catalog posts must’ve had a moment where they went “oh right, yeah we screwed that up…” As long as I’m stringing you along this line of analysis, let’s go over the Didact’s speech again, if only so we can look back on Halo 4 and remember a better time. “In this hour of victory, we taste only defeat… I ask, why? I stand before you, accused of the sin of ensuring Forerunner ascendancy – of attempting to save us from this fate where we are forced to… recede. Humanity stands as the greatest threat in the galaxy, refusing to eradicate them is a fools gambit. We squander eons in the darkness, while they seize our triumphs for their own! The Mantle of Responsibility for all things belongs to Forerunners alone. During the Human-Forerunner war, the Ur-Didact invoked the Mantle and advocated for humanity to be brought back into the fold, not wiped out. He considered Riser’s people, the Chamanune, to be wise and intended for them to be teachers for Manipulars. It was Librarian who wanted humanity wiped out at this time. The point we get to at the end of Halo 4 pushes the Didact beyond his limits with humanity, he’s had enough. His perspective changes to saying that refusing to eradicate humanity “is a fool’s gambit”. Not imprison into subservient war machines with the Composer. Not knock down the evolutionary ladder. Eradicate. 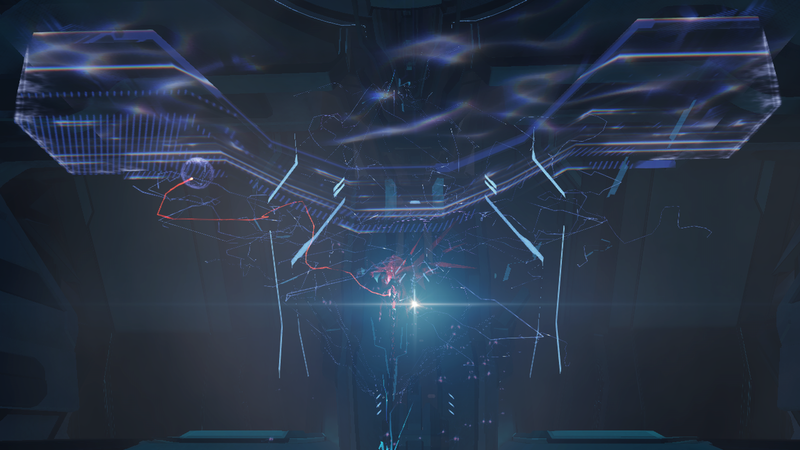 Likewise, it has been suggested that he delivers this speech to justify his actions when he first composes the humans on Omega Halo, but at that point there was no Ecumene Council left – in fact, there were almost no surviving Forerunners left at all when the Ur-Didact started this initiative because the last remnant of the Forerunner resistance was wiped out by Star Roads at the Greater Ark. The Ur-Didact is purposefully noted to have recused himself from the final meeting at the Greater Ark which leads the Forerunners present to argue about the IsoDidact being a lesser replacement until the Master Builder enters. He can’t have given any sort of speech to them because he have full accounts of what he was doing and what the Ecumene Council was doing at that time. Humanity wasn’t seizing Forerunner technology during the war, they certainly weren’t doing it when they were literally reduced to cavemen following the war, but they are doing it in the present where they have advanced to be a spacefaring species who are learning about the plan Librarian has put in place for them to inherit the Mantle. And the Didact concludes by saying “think of my acts as you will”. His acts regarding humanity were entirely supported and sanctioned by the Ecumene Council during the Human-Forerunner war, the only point of condemnation came from the Librarian when he began his initiative with the Composer. So it’s quite clear that this group of Forerunners he is talking to who he notes do not approve of his actions are in the present. So when Catalog says there is “difficulty in interpreting Shadow-of-Sundered-Star’s commentary”… there really isn’t. This is the thing which the main plot should be focusing on, this is the story that has been in-the-making since IRIS in 2007. This is what Halo 4 and the Forerunner Saga was giving the final push towards, the return of the Forerunners to the setting, only for this to be placed on the back-burner along with so many other plots for this Created nonsense. The impact of the line “the Forerunners have returned” in Halo 4 has been twisted to “Forerunner constructs are being controlled by evil!Cortana and the Created” in Halo 5. I’ve talked a bit about the Created being a singularity where everything going forward is going to be affected by them in some way, and now even the Forerunners are tainted by that. In the first Alive entry of the Builder’s logs, he says “the ancilla, she knows I’m here. She hunts me”, so Cortana knows that there is a still-living Forerunner out there. Worse still, the ending of the Builder’s story has him find Bastion, so the Created are invariably going to be involved in some capacity when we finally get around to the actual return of the Forerunners to the setting. Another thing that annoys me about these logs is how frustratingly short and repetitive some of them are. Two of them are literally one to three seconds long as the Builder just says “Bastion”… what a waste. It gives us practically zero insight into some very important things that are brought up – the specifics regarding the Domain’s return, the Warden Eternal’s history and how he is now awake. The Builder’s dialogue implies familiarity with the Warden and a sense of trepidation about him being active, but we never see that explored at all. This isn’t even the Cold Tea problem, this just feels thoughtless. 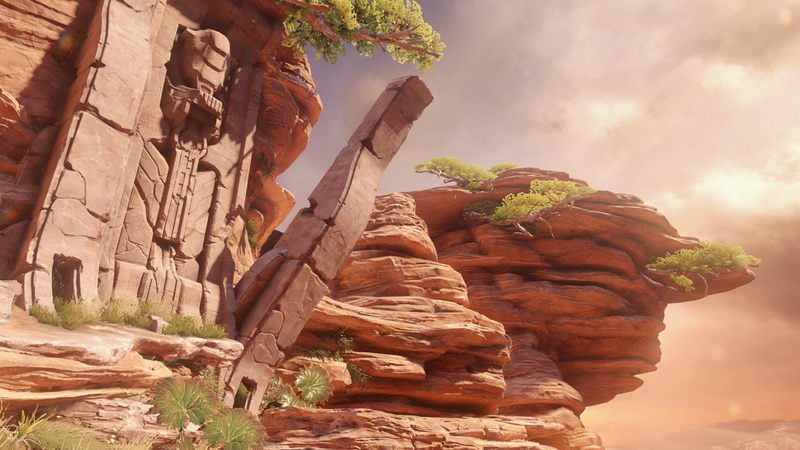 Halo 5’s storytelling leans so heavily on telling rather than showing, but when it comes to the really important stuff it decides to do neither. If you aren’t going to tell us these things in the game’s main story then you should be telling us in the intel, that’s what it’s there for, and literally all this requires of 343 is some voice recordings. That’s it. This is what makes me miss the Terminals, because while I do really like the intel and regard it as a generally positive aspect of the game (with some of the best writing in it), there are times like this where they just don’t use that storytelling tool properly. Which is incredibly frustrating to me. This has interesting implications. On the one hand, we are told in Silentium in no uncertain words that the Domain is the Organon. The Organon! The Domain is the Organon! Therefore, we are to take these things as being one-and-the-same. However, on the other hand, there is definitely room for interpretation here about what we’re told about the Domain, which I’ve alluded to earlier in my analysis for the third mission, Glassed. It all hinges on how you take the word “was” in “this reserve was wrapped in Precursor architecture”. Do you take “was” to mean that this was the nature of the reserve all along, or was this an action the Precursors made upon finding the reserve? Because the Domain is a consciousness, but never explicitly shown to be a Precursor consciousness, and it being “wrapped in Precursor architecture” makes it sound like that was only one part of a larger whole beneath it. Halo 5 separating the Domain and Organon lends credence to this theory that the Domain itself is something possibly even beyond the Precursors, that it was something the Precursors found and used just as the Forerunners did, and now the (*groan*) Created are doing. Therefore, the Organon is the Precursor architecture that the reserve was wrapped in – that’s what the Halos destroyed. We might think of this as an anchor of-sorts, bridging the Domain into ‘normal space’, just as the Gateway on Genesis does. The Forerunner node worlds and the Organon are effectively transdimensional routers for the Domain, this thing whose true nature and origin is about the most alien thing in the Halo universe. Truth be told, I rather like this idea and it’s done in a way that isn’t a retcon because the dialogue in Silentium is what opened up this possibility, this room for interpretation, in the first place. There’s no definitive answer given, so it is what you make of it. 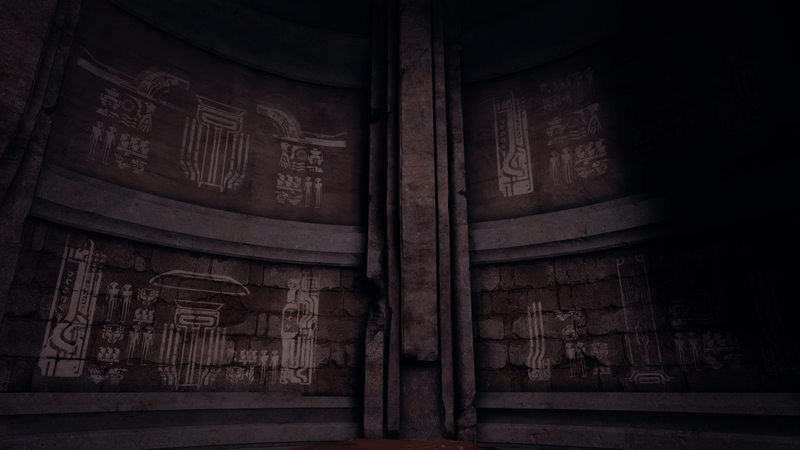 To sum up my feelings on this matter: These intel logs don’t tell us anything new, but it’s nice to see them in the main game at last, but it’s still not done in a way that contributes to a greater understanding for the players who haven’t read the extensive and esoteric Forerunner lore, and it just makes me think how much more interesting things could have been if the Ur-Didact had been this game’s antagonist and heralded the return of the Forerunners to the setting. In other words: more overt than it once was, less overt than it should be. His speech in Halo 4’s epilogue reminds me very much of Thel’s speech at the start of Halo 2 regarding what happened at Installation 04, it sounds like the Ur-Didact is on trial which would absolutely make sense. Exploring the current state of the Forerunners as a species after being away for 100,000 years, having them pulled back into being involved with the affairs of the galaxy, while the Didact is luring Blue Team across the galaxy to imprison them… it would sure be a lot more interesting and grounded in actual build-up than the Created ever were. That’s all I’ve got for today, I think I ended talking about the Forerunners more than the actual mission? That’s okay though, there’s really not a great deal to this mission in terms of major character or setting-building, the interesting stuff is all on its peripheral. 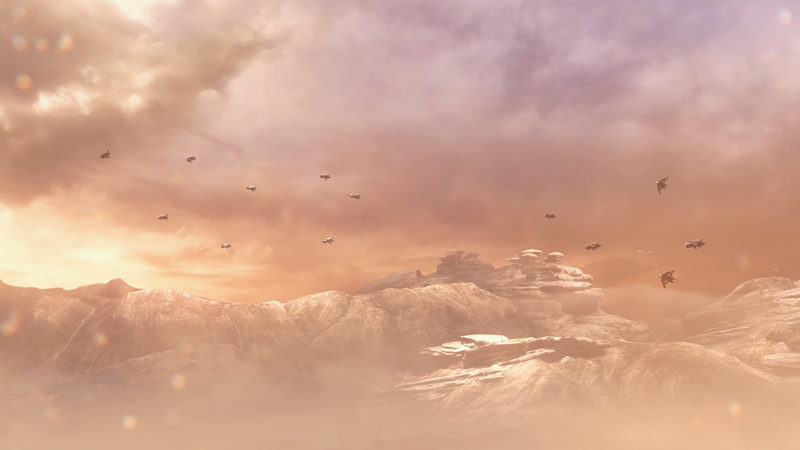 It’s a well designed mission, fun to play, and, at times, indicative of some of Halo’s best gameplay design. But 343 still can’t quite grasp that these much more linear and scripted big battles (the Lich fight in Halo 4, the Kraken fight here) are just nowhere near as fun as the Scarab battles from days of yore. I wonder if it is at all possible that “evil” Cortana is actually Cortana. She did in fact really die at the end of Halo 4 and what we’ve seen in Halo 5 is a construct (of an AI construct) that is being worn, as it were, by someone else – the Didact, a Forerunner AI, something that the Flood Gravemind has “cooked” up? If that were in fact the direction 343i are taking this, then at least some of the oddities within the Halo 5 narrative would being to make sense. A counterfeit Cortana to draw away the human AIs, wake the Guardians and effectively subjugate the universe is something I could well imagine the Didact thinking of, or even the Flood Gravemind. I wouldn’t think it a stretch to imagine that this is the form that humanity’s testing would take as predicted by the last Precursor in Silentium (apologies if I’ve got that refernce wrong). I know it is a very long shot that 343i have not actually resurrected Cortana, but if the Cortana seen in Halo 5 were actually a puppet/construct that was built from the shards of herself that she split off during the end of Halo 4, then I’d feel that 343i really do have a better grasp on the complex universe that is Halo. Admittedly it wouldn’t negate a number of retcons and inconsistencies, but at least it might mean that not everything in the marketing etc was a lie. I understand that you don’t want that to be the real Cortana, but the sad truth is that she knows EVERYTHING that the real Cortana should know. Oly Oly Oxen Free, the song that Halsey reminds at the beginning of the game, the real name of John, the Spartan II program, Infinity… she even cries when she has to take John to the cryptum. There are so many things that point that she was just retconned to be bad. I’m sorry. I was spinning ideas more than anything of how 343i might “recover” this rather bad (in my opinion) resurrection of Cortana and at the same time bring the narrative back in-line with the EU etc. I could argue that a reconstructed Cortana include those memories that were used as evidence that it really is Cortana. I wonder if it is at all possible that “evil” Cortana is not actually Cortana. That she did in fact really die at the end of Halo 4 and what we’ve seen in Halo 5 is a construct (of an AI construct) that is being worn, as it were, by someone else – the Didact, a Forerunner AI, something that the Flood Gravemind has “cooked” up? To be honest, I am not quite sure how enthused I feel about the idea of the Forerunners coming back into the “modern setting”. I miss the days of the original trilogy where, just playing the game/watching the cutscenes, I was placed under the impression that they were a mysterious race long gone, killed in their attempt to wipe out the flood. Then Halo 4 (yes, a great campaign) comes along and brings a flesh-and-blood Forerunner onto the scene. To me, this ruins the mystery and makes the settings of the original three games less interesting now. So I am not excited about these implications that there are more Forerunner survivors out there. It completely makes their disappearance after the firing of the Halo rings seem pointless. I’d rather they stay dead, a tragic fate, a cautionary tale to the galaxy regarding the Flood. *sigh* I hope we can agree to disagree on this point, as I can tell you are quite excited about this. To me, it just ruins a lot of things. 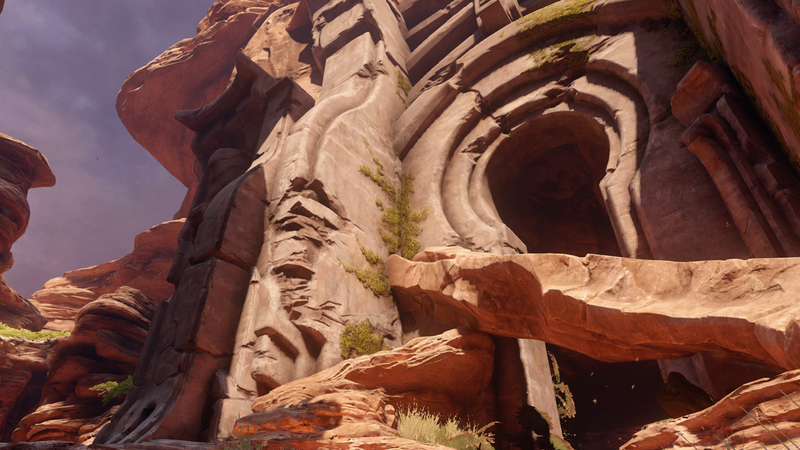 Before we know it, 343i may get bored and decide to bring Precursors back… Just leave some things a mystery, please? That’s your perspective and that’s absolutely valid, but every fibre of my being disagrees. I think that what’s been done with the Forerunners across IRIS, Halo 3’s Terminals, Soma the Painter, the Forerunner Saga, and Halo 4 is the best thing to happen to this series – doing away with the tiresome trope the Forerunners from being just another generic ancient species while still injecting a dozen more questions for every one that is answered.